Hey! Are your ideas for global takeover falling apart? Are you losing sleep over humanity's mass awakening? 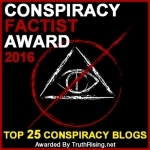 Is false flag Terrorism fizzling out? Global warming gone cold on you? Do you want those Global Warming deniers to just GO AWAY? Are all your phony economic Crisiseseses being exposed? Is the price of gold defying all your attempts to fix it? Isn't killing the Gulf of Mexico and poisoning millions of people reducing the population fast enough for you? War, famine and GM food not getting it done either?? Well, don't give up, Get Disclosure! You'll be able to unite mankind with a phony problem and enslave them with a one-world government and taxes. There are currently 4 users and 1133 guests online.